You may have a regular schedule to clean your home that you follow religiously. However, once in a while you need a deep house cleaning to reach those places that regular cleaning doesn't. In deep cleaning you clean top to bottom rather than room to room. This is where you are going to move furniture around, your cooker, fridge, any other immovable items and clean underneath, on top and in between. Deep cleaning is the most complete cleaning you can do in your house and needs to be well planned for. We at the Soap Opera are just the team you need to scrub all those nooks and crannies that you didn't even know existed. If you still don’t understand what deep cleaning is all about, you can call us at 023 8008 1008 or email us at info@thesoapoperaltd.com. Or simply fill out the form on the site and we shall get back to you. Clean inside range hood, oven and, dishwasher. If you want to learn what more we can offer in our deep cleaning package, please call us on 023 8008 1008 to schedule an appointment. Our deep cleaning services work very well with our End of Tenancy cleaning. If you are an leasing agent and wish to have your serviced apartments cleaned after the end of a tenancy, our services will suit you rather well. 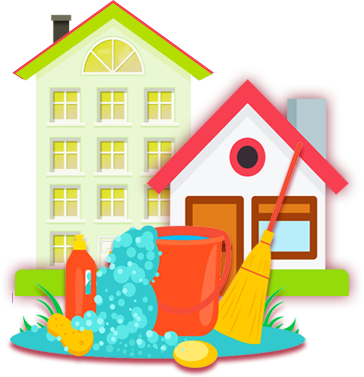 We even offer a discount to our regular deep cleaning and End of Tenancy cleaning clients. What are the Benefits of The Soap Opera? We love our job and it shows from the quality of work we produce. Over the years and having serviced more apartments than anyone in the Southampton and surrounding region, we have a reputation of good old fashioned hard work and credibility. All our workers are vetted to ensure that our clients feel safe. They are all professionals having been trained by our expert in-house team. If you are worried about the appearance of employees in your home, don’t. Our employees are clean and all wear a professional uniform with a smile to go with it. At the Soap Opera we offer our deep cleaning services with the motto “We don’t cut corners, we clean them”. The finished product is unbeatable by any standards. Usually we come with our own cleaning material to site. However, should you need your own custom cleaning materials; we are more than willing to accommodate you. Our pricing coupled with our no frills guarantee is unmatched in the industry. We offer the most competitive rates with an iron clad guarantee that if you are not happy with our services, we shall come back and redo the work. 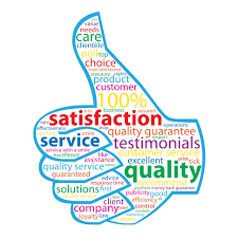 Only when you are satisfied do we send our invoice. It’s easy to book a deep cleaning service with us. You can email us right now at info@thesoapoperaltd.com. If you have the necessary details, we shall send our quote back to you in no time. However, if you would prefer to have a talk with us before you engage our services that would be great with us. We shall come to you at your convenience and you can show us what you need deep cleaned. Usually, we shall give you some free advice on what you can do to help you clean better in the future. Just call us on 023 8008 1008 and ask to speak to Iwona. It won’t take you long to understand why we are simply the best deep cleaning service in Southampton and surrounding areas.